– FREE lifetime technical support. – FREE lifetime update to latest version. – Once you complete the online order, you will receive your license code immediately. Categories: Mac OS, Uninstallers. Tag: DoYourData. Note: please leave a comment to notify us if the price is wrong. Thank you! 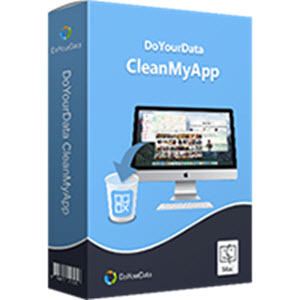 CleanMyApp is a powerful Mac uninstaller. It can completely uninstall Mac applications and remove associated files. Moreover, it also can remove unnecessary multi languages of Mac applications. Completely uninstall Mac application and remove all the related files. Thoroughly Uninstall Mac App: Completely uninstall all parts of the application from your Mac. And remove associated files including app junk, register files, logs, traces, etc. Uninstall All Mac Apps: It not only can uninstall applications that you download from Mac app store, but also can uninstall applications that you download from other websites. Also can uninstall virus infected, crashed and stubborn applications. 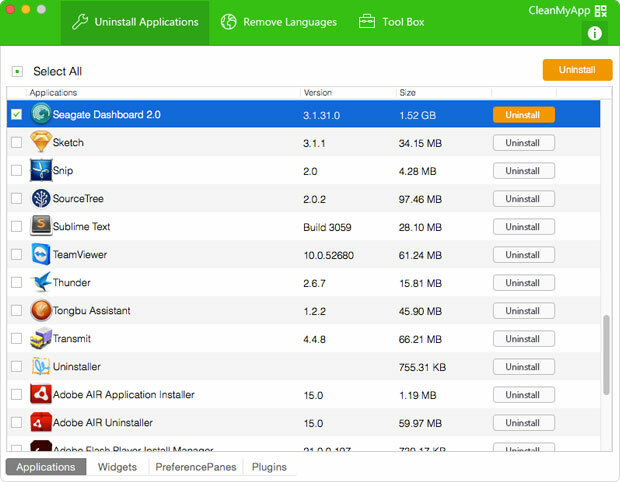 Uninstall Plug-ins and widgets: CleanMyApp also allows you to remove unwanted plugins, widgets from your Mac. Uninstall Multi Apps by 1-click: It supports uninstall applications one by one. It also supports uninstall applications in batches – by only 1-click. Many applications are developed with more than 3 languages, but you may need only one or two languages. Multi language files take up a great deal of disk space on your Mac. If you want to slim the application to get more disk space, you can use CleanMyApp to easily remove the unnecessary languages. Installation of an application is easy, but removing all the parts of the application is complicated. Now, CleanMyApp makes the complete uninstallation become easy. Easily uninstall Mac apps and remove unused language files. It is 100% safe. It will not uninstall the app until you say YES. It also can completely uninstall crashed application, virus-infected application, and stubborn application. - We provide the best software giveaway and discounts daily. You can buy top rated products at the lowest prices and have the chance to try out premium software without spending money. - Your online order will be processed by third-party payment platform: Cleverbridge, MyCommerce or Avangate! The whole process is secured by 128-bit SSL and 100% safe! - The product could be purchased through Credit Card, PayPal, Bank/Wire Transfer, Check/Money order, Fax, etc. TopWareSale.com © 2014. All content is the property of its rightful owner.